2012 Line 4W Trench (channel sample of 5.48% Zn & 1.08% Pb / 1m). Photo by Great Atlantic Resources. Great Atlantic Resources (TSXV.GR) announced that, in the spring of 2018, it will start drilling at its Porcupine base metal – precious metal – rare earth element project located in the eastern Canadian province of New Brunswick. The site is approximately 50 kilometres west of the city of Miramichi and occupies a land package of 2,830 hectares. Following the approval of a diamond drilling permit for up to 10 holes, Great Atlantic said that the central region of the property will be the focus of this first campaign. Back in 2012, company experts discovered a mineralized zone in a trench in this area from where they took a sample that returned 5.48% zinc and 1.08% lead. A second trench located 50 metres east from the previous one returned 20.7% lead, 6.89% zinc, 2.04% copper and 122 grams / tonne (g/t) silver. In a press release issued today, the exploration firm explained that the Porcupine property occurs within the Miramichi terrane which trends northeast-southwest through New Brunswick and hosts numerous volcanogenic massive sulfide deposits. 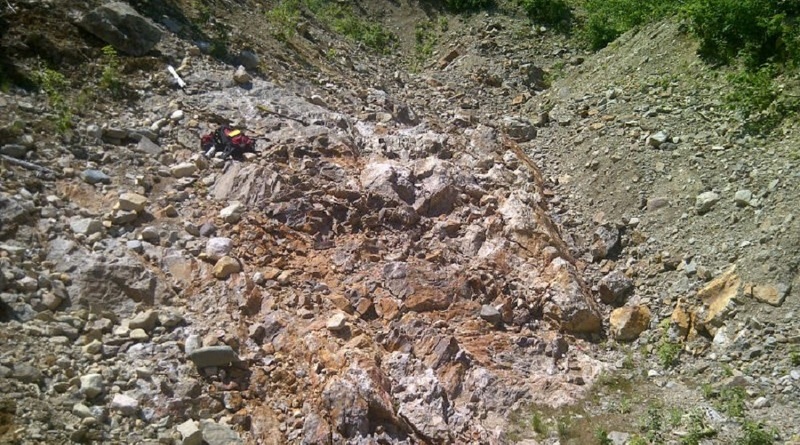 The Vancouver-based miner also said that Porcupine has been recently expanded further north through staking of additional claims that cover an area of reported lead sulfide mineralization.